The ATD Rocky Mountain Chapter met all 18 Chapter Affiliation Requirements (CARE) for 2018 and was also recognized as a Chapter Membership Super Star with joint (both National and local Chapter) membership being over 50%. Read the letter from ATD President and CEO, Tony Bingham, here. 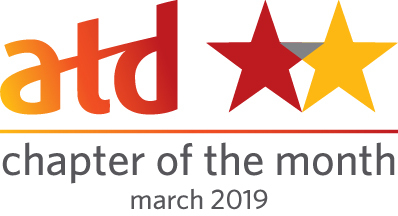 The ATD Rocky Mountain Chapter is the 2019 ATD Chapter of the Month. According to the selection committee, " Your chapter achieved CARE for 2018! Second, your chapter had submitted a Sharing our Success (SOS) best practice for your After Action Review Process/Evaluation for Process Improvement. The Chapter Recognition Committee was impressed with this submission, and it is defiantly a best practice. Nice work!" Read the letter from Tony Bingham. 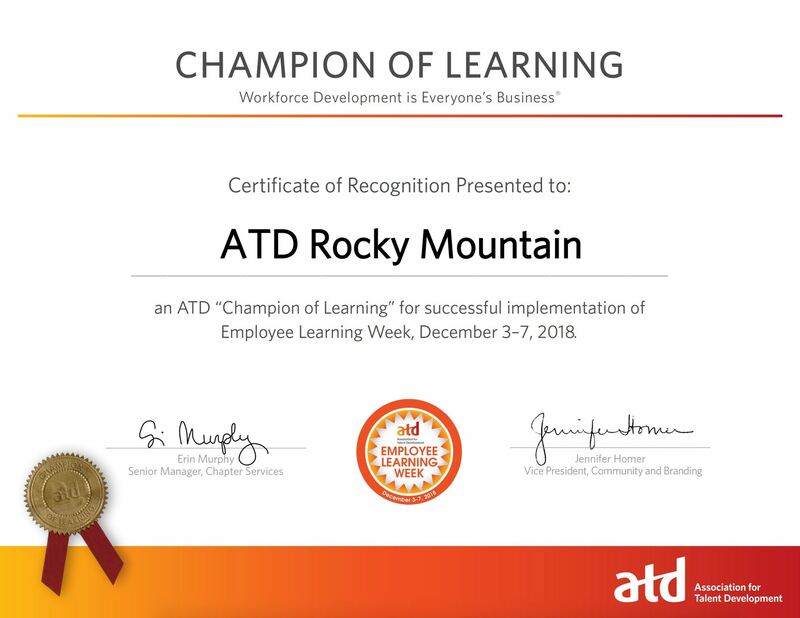 The ATD Rocky Mountain Chapter was recognized as an ATD "Champion of Learning" for successfully implementing Employee Learning Week, December 3-7, 2018. The ATD Rocky Mountain Chapter was awarded a 2018 ATD CARE Award. The Chapter successfully met all 18 required CARE elements and was recognized for 100 percent achievement of CARE. Read the letter from Tony Bingham, ATD President and CEO, here. 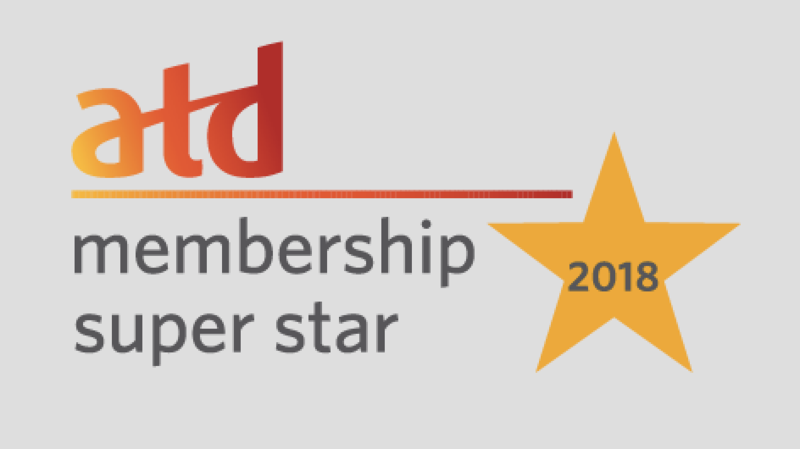 The ATD Rocky Mountain Chapter was recognized as a membership Super Star with joint membership (members who hold ATD and ATD local chapter membership) above 50 percent. Jennifer Rogers, Chair of ATD’s Chapter Recognition Committee said, "This recognition honors the ATD Rocky Mountain Chapter’s best practice that demonstrates its commitment to managing a successful organization as well as advancing the talent development profession at the local level. We are excited to honor the Chapter with ATD's SOS recognition." The ATD Rocky Mountain Chapter implemented the After Action Review Process / Evaluation for Process Improvement to evaluate Chapter meetings. This process helps the Board to identify successes and items for improvement. The ATD Rocky Mountain Chapter successfully transitioned the Chapter's email from GoDaddy to G-Suite for Nonprofits. In addition to new email service, the move to G-Suite provides the Chapter Board with a robust offering of Google Apps that allow for successful collaboration from anywhere. G-Suite for Nonprofits is a free service offered by Google and will allow the Chapter more funds to invest in members. 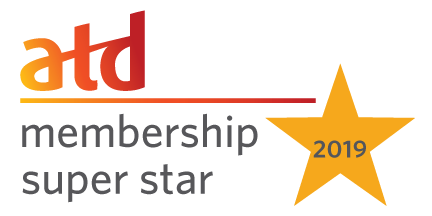 ATD Rocky Mountain Chapters has been recognized by ATD national for meeting 100% of the Chapter Affiliation Requirements (CARE) for 2016 and as a Chapter Membership Super Star with joint membership (Power Members) above 45%. 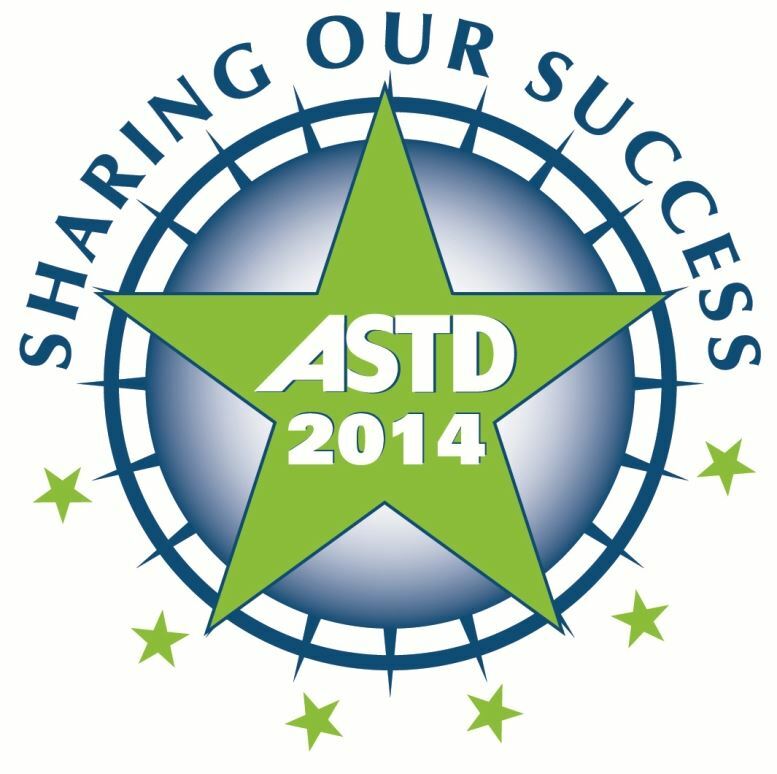 See the congratulations letter from Tony Bingham, ATD's president and CEO. As part of the 2015-2016 CARE pilot program, the Partnership Team, a task force consisting of ATD staff, National Advisors for Chapters, and leaders from diverse chapters of different sizes, geographies, and joint membership achievement levels, established a new rewards program to recognize the top three chapters in each size category for the highest percentage of joint membership for the year. With a joint membership of 57%, the ATD RMC chapter was awarded second place in our size category! Why did the Chapter win? First we achieved CARE for 2016. Second, we submitted a Sharing Our Success (SOS) best practice for Finding a VP Finance/Treasurer. The Chapter Recognition Committee was impressed with this submission because Chapters are always looking for way to reduce costs and increase membership. This submission is definitely a best practice. What did the Chapter receive? Recognition on the ATD homepage, Leader Connection Newsletter, Chapter Leader Community website, and at the ATD Chapter Leaders Conference (ALC). See the letter from Tony Bingham. 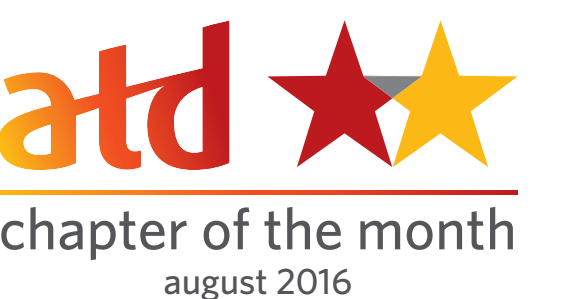 ATD RMC Named a 2016 Membership Super Star! March 2016 - Rocky Mountain Chapter has been recognized for meeting the Chapter Affiliation Requirements (CARE) for 2015! This means we successfully met all 18 required CARE elements and is recognized for 100 percent achievement of CARE. 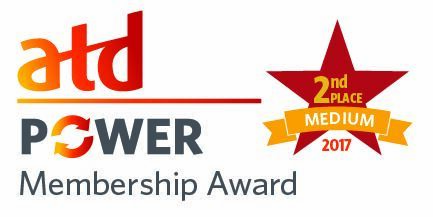 Also, based on our reported joint membership percentage, we have been recognized as a Chapter Membership SUPER STAR with joint membership (Power Members) above 45 percent. In December 2015, ATD Rocky Mountain Chapter received another "Sharing Our Success (SOS)" award for sharing how to "Create a Sustainable CPLP Virtual Study Group." In September 2015, ATD Rocky Mountain Chapter received the "Sharing Our Success (SOS)" award for our willingness to share best practices about "Chapter Branding" that can immediately help other chapters to improve their management and services. We have been recognized for demonstrating a replicable format for other chapters around the country to adopt and improve their chapter’s business. Further, our SOS will help to create an interactive knowledge base to benefit current and future chapter leaders. 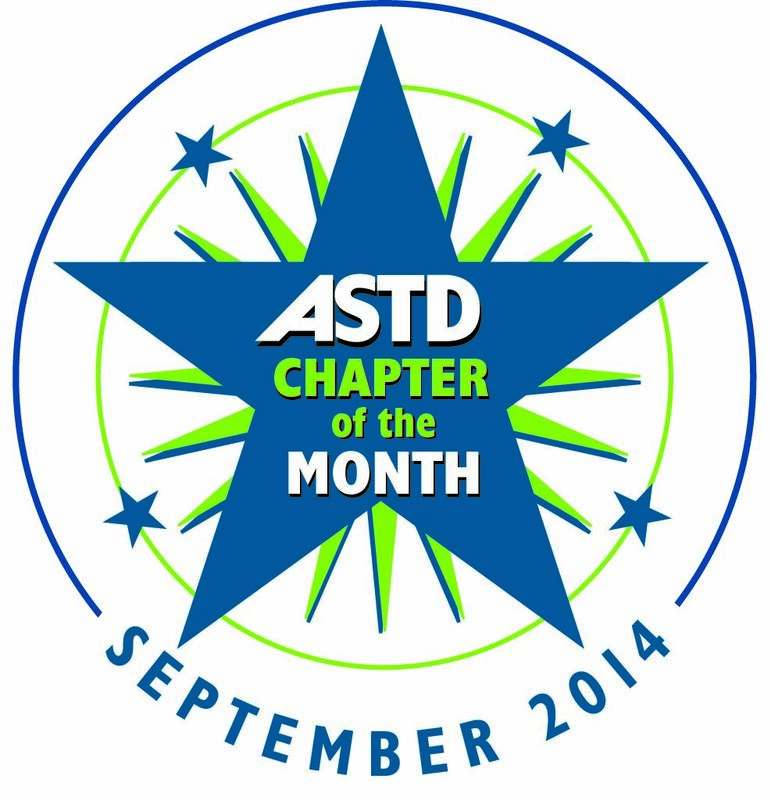 The national Association for Talent Development has given the Rocky Mountain Chapter the September 2014 Chapter of the Month award. It is the highest honor ATD bestows on its Chapters and we are proud of all the hard work of our dedicated President, Becky Magnotta, the board and volunteers. Our members make us strong and we are happy to serve them! Join the most dynamic chapter for training and talent development professionals in the country today. The Rocky Mountain Chapter was awarded the prestigious Sharing Our Success (SOS) award for the Drink and Draw and Past & Future Leaders' Quorum. The national SOS program identifies best practices among local ASTD Chapters and uses them as models for other Chapters. Rhonda Bothwell, Chair of ATD's Chapter Recognition Committee said, "This recognition honors the ATD Rocky Mountain Chapter's best practices that demonstrate its commitment to managing a successful organization as well as advancing the learning and development profession at the local level. We are excited to honor the Chapter with ASTD's SOS recognition." The Rocky Mountain Chapter has been recognized by ASTD National as a Super Star Chapter for high performance in the Chapter operating requirements (CORE) and between 40 to 50% of our members belong to both the local Chapter and National. Click here to view the recognition letter from Tony Bingham, ASTD President & CEO. The CORE Membership Goal helps to establish continuity with members of the national organization and Chapters as a part of the same organization with shared valuable resources and a shared compelling mission that effectively meets members' professional development needs.